Its quite some work to get to a reasonable schedule for a FOSS conference done. You want a balanced program with topics where all visitors can find their interests in. Moreover the level of the talks must be taken care of as well as there should be gravitation centers for key topics within the community. As you usually also seek out for new community members with a conference, some topics which attract new people are also a very good idea. And all that needs to be sorted between rooms with different sizes, the times people can be around, the tracks you think are useful on the event and such. Quite some parameters to take into account. That said, I am very happy that we could issue the schedule for the openSUSE Conference 2011 today. For conference organization there is tooling. Or should I say: Should be? Given the huge amount of FOSS conferences around, the number of free alternatives of conference organization systems is fairly small. We decided to go again with Indico, a python based system developed by CERN. It provides support for the whole conference life cycle such as the call for abstracts, the internal judging process, the scheduling and such. With nice help from the developers we got it running smoothly and integrated. Sometimes the interface is not really straightforward, but finally its a very feature rich yet flexible tool that feels like it has managed some large (CERN) conferences already. For the openSUSE conference 102 contributions were scheduled into four rooms in four days, so it will be quite a exhausting event :-). Unfortunately we still had to reject quite some submissions as the program is stuffed already. Please bear with us. This year we are really happy to have a joint event with the former SUSE Labs Conference for the first time. That not only brings a lot of high potential speaker to the event, but also much more low level topics around kernel, gcc and such. I think we lacked that a bit at the last conference. Also cool that Greg KH, well known kernel hacker, will enlighten us with a keynote. Beside the low level topics, we will hear a lot about community affairs, such as social skills for geeks or impressions from our ambassadors work. Another big block is around packaging and the organization and management of openSUSE Factory, our next stable distribution. Some knowledge sharing is always appreciated, I personally look forward to “Working Effectively with GIT” as I am still dreaming of svn in the nights 😉 And what we need to continue to grow our identity as openSUSE project are contributions around our setup and the relationship to SUSE, the commercial offering of SUSE and the importance of openSUSE in that. Michael Miller, SUSE Vice President of Global Alliances & Marketing, will give a keynote here, and there are other talks in that space. I hope you have registered for oSC 2011 already…. As you know, the third international openSUSE Conference is happening in a couple of weeks. You already should be registered. For the organization teams that means they are really coming onto speed now and it starts to feel dizzy. We had a couple of public meetings which resulted in a nice list of stuff to do, like organizing hardware for the venue, set up internet, foods and drinks and so on. This is all done by community members and open for your help. If you want to help, you’re more than welcome to contribute to the conferences success. A good start is to subscribe to the mailinglist opensuse-conference@opensuse.org . If you prefer to give a hand during the conference days, also great, we are looking for volunteers. Many hands are needed to get the event going and it would be good if we could share the work so that it’s more fun for everybody. Please go through the list on the volunteers page and find where you could jump in and help. Simply add your name or nick into the list where you feel comfortable to help. Posted in Boosters, Events | Comments Off on Volunteers needed! some might remember my hackweek project Zippl. I blogged about it more than a year ago. Zippl is a lightweigt presentation tool, a bit like prezi, a hipp tool for that purpose, where all ‘slides’ sit on one large canvas and during the presentation a kind of camera moves over the canvas. I liked the idea and did Zippl as I wanted to play with Qt’s QGraphicsView. It takes a simple xml file as input which describes the presentation and animates it as shown in the video in my older blog. First I thought it doesn’t make sense to continue that project. But recently, somebody asked if I have built in the feature back to the previous spot as I promised almost a year ago, as he wanted to do a presentation with Zippl. I couldn’t believe, and so I spent an evening in the weekend to polish Zippl a bit. And because its easy with OBS, I quickly built an rpm package for various openSUSEs. Now that I worked on it a bit again I found it could also make sense on tablet devices, for example to run cool Hello New User animations or small presentations for ant Tilly to get some sponsorship for the new bike. Could be fun. If you want to check it, please install from my home repository. It shows the activity of catching a bee swarm that has been going out of the bee hive before. Swarming is natural behaviour of bees for reproduction. In early summer the bees create a new queen and as it is emerging, the old queen is swarming out of the hive looking for a new home. One form of the old and meaningful circle of reproduction. Yesterday I did a new release of Kraft, the KDE application to create and manage business documents in the small enterprise. It is version 0.43, the former one was 0.42, release in april 2011. Both releases, where the latter is a kind of maintenance release of the first are the result of a comparable high development effort of the underlying code in catalog handling and document lists in Kraft. The document lists consisting of a latest, complete and time sorted view are now fully based on one Qt interview model feeding the views. That was a step because the original code was based on Qt3’s treewidget code. The result is convincing: the time needed to build up all views with a couple of thousand documents went down from around 20 seconds with the old implementation (which of course was not optimized) to almost nothing now. A nice result. The catalog management got also a fundamental change, it can handle an arbitrary depth of catalog chapters now instead of only one. That makes a catalog chapter hirarchie in which templates can be moved around by drag and drop. Complete sub chapters can now be moved now from the catalog to the document quickly to speed up the assembly of documents covering standard workflows. Moreover this change in the underlying catalog data structure was an important prerequisite to implement reading of standard catalog formats such as DATANORM in later releases. support for DATANORM and friends, which would allow reading standard template catalogs provided by suppliers. around thirty members of the openSUSE project are just back from a fife days visit of Linuxtag in Berlin, the largest Linux specific event in Europe. We were crowding the openSUSE booth and were giving fourteen talks, took part on a key note like panel discussion, the usual distro battle and delivered the well known Booster workshops on the booth. Here is a little very personal log. We had a very nice booth, large and at a nice place. 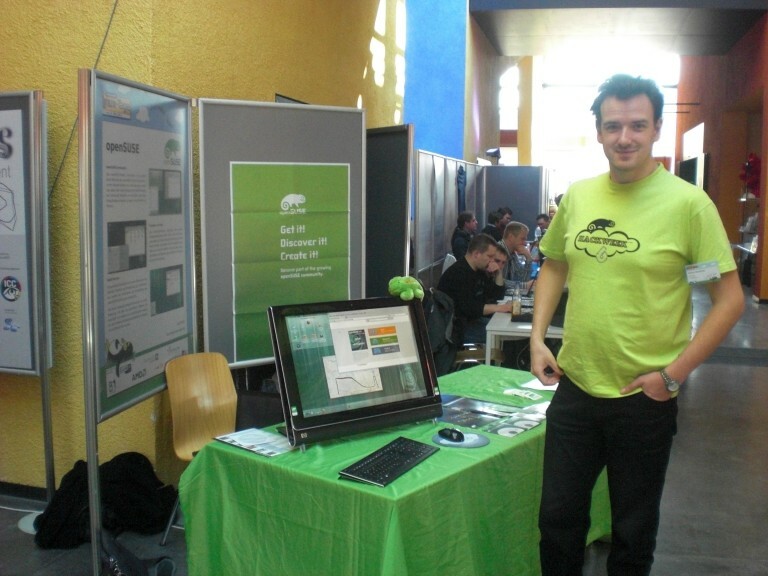 We had the chance to tell lots of people about openSUSE and where it is heading to. I heard much good feedback, about the distribution on the one hand, but also for the project and how it evolves. Slowly we seem to get a good message out and users and peers from the FOSS community get and appreciate it. Very good to experience that. Of course we also had good fun at the booth andgave some interesting workshops in pipe cleaner arts and grafity for example. Another talk I liked was the fly over Qt and its recent past and future, delivered by Daniel Molkentin. Thoughts about Qt 5 were published a few weeks ago and Danimo outlined these again, also showing some nice demos of the upcoming Qt Quick and more. From Vincent I saw a very good talk about collaboration between distros where he came up with an impressive list of activities where we’re already collaborate and proposals for more. Sad to see only few people in the audience. I missed Vincents other one about GNOME 3, but there is a nice Interview with him done at LT about that topic. Apart from talks I saw KDE Active the first time real on a kind of Weetab on the KDE booth. Definetely cool, hopefully applications will catch up and being ported to this kind of platform. I am sure users will seek out for more than weather forecast apps sooner or later. On saturday a collegue from the Gentoo Project approached me and told me that his team is actively working on a Smolt feature to also track the list of installed software of a system. We also use Smolt in openSUSE and we also have Feature #305877 asking for that kind of functionality, so I think we should jump on that train to support that effort. Nice idea, volunteers welcome! Apart from that I have to say that I was a bit disappointed by this years LinuxTag. I had the feeling that the number of visitors did not meet the expectations of the most exibitors and presenters. The hallways were really relaxed most of the time. Furthermore, the number of not so impressive talks I saw was comparably high. The official numbers however do not support my feeling, so maybe I am wrong. Anyway it was big fun again. 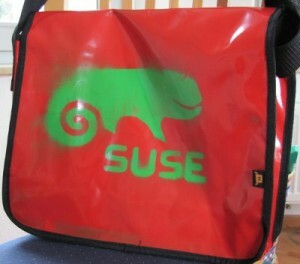 I like to thank you all for your share which made Linuxtag 2011 a great success for openSUSE. In my last blog I was mentioning the “Distribution Wettstreit” which translates in “distribution competition” held on the Chemnitzer Linuxtage event. The idea of that session is to have distros lined up on stage and give them a task and see how each of them is able to solve it and compare that. I participated for openSUSE but the session left some question marks for me. Here are my thoughts how the idea could be improved. As far as I know it happened the second time in Chemnitz, were Debian, Fedora, Mandriva, Pardus, Ubuntu and openSUSE were on stage. The tasks we got were every day problems, such as playing a flash movie or how to display a html 5 page. openSUSE was lucky with a one week old release, so wonder why we can handle HTML5 directly and others who released earlier can not? I have to say that I do not like this kind of session too much. It is great to compare distributions, and also to do it kind of interactively and live. But even given that all involved know that its not about finding a winner and a looser, in this format there are too many parameters that influence the whole thing: First, the release date. Younger distros tend to be better than older ones. Second, it highly depends on the person who sits in front of the machine and explains what he does to solve the problem. One must be able to solve the task technically, and than she/he must be able to talk about it appealingly. 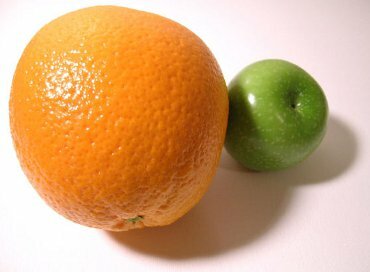 Different distros target at different user groups, and you quickly compare apples with oranges. I think it should be realized as a benefit that we’re different, and that does not necessarily need to end up in a competition everywhere. Moreover, we should appreciate if people remain playful and try distros as they like instead of trying to nail them to one forever. Maybe next time we can rather have a “The combined power of the Linux variety” -session [working title] instead? In that we could try to work out the differences between the distros and which user groups could benefit from them. I mean, the variety in the FOSS community is the great advantage that we have over other systems and we should express it. And our similarities which we certainly have should also be brought on the table. To whom do we really compete? I guess we should be compared against commercial systems which tend to lock the user in with huge consequences or have security-, innovation- and other issues. Why not line up on stage and show the audience how we together beat these system with free software in various ways for the good of the user? Yes, playing flash movies is a every users problem, and I know the “I don’t care, it simply needs to work!”-attitude lots of users do have. We as free software distributions had and have to find ways to deal with it, and we all have our solutions. But whats really important is not to present new users that we even though in general can not work with Flash, we found a workaround. The more important message is why its dark in some corners of FOSS world, how that can be improved and who is able to change that. I think it would be awesome if that could be taken more into account the next time we have the opportunity to speak to such an audience as distributions together. openSUSE had a booth there (thanks Fedora for the picture) and we were lucky enough to have brand new 11.4 promo DVDs there which were handed to interested people. openSUSE 11.4 in general is very well received at most visitors, they were quite happy with our latest release. That is also true for the feelings for openSUSE all over: I heard so much positive feedback about what we do and how we do it, for example the OBS with the collaboration features, the distribution or the activity all over. People recognize our efforts. I gave a talk about Kraft, as people hinted me that there might be the right audience for the topic of Linux in the small business. The interest was huge, the room was more than full and people seemed to like the way I was approaching the challenge. Unfortunately I had to fight with the notebook/beamer phalanx in the beginning (I apologize for that) so that I had to skip the live demo of Kraft in the end. But still I got a lot of interesting discussions afterwards and got some nice contributions already. Thanks for that. Booster Michal was giving a workshop about creating packages in the OBS for multiple distributions and a very well received “whats new in 11.4?” talk was given by Sirko in the beginners track. It was a great event, even though I quite exhausted arrived home late on sunday night. I will be there next year again. Kraft: A No-Nonsense Office Assistant That Gets Straight to Work. Nice title, and also the bottomline of the whole article. Good to read, however I am wondering why the author tested Kraft version 0.32 instead the current one 0.40 which is out already for ten month. Are there *still* 0.32 packages around in the Ubuntu-World? On the download page on Kraft’s website, there are good Ubuntu packages linked thanks to Rohan Garg. The only remark in the review was that the list of document types should be editable. It is since 0.40 🙂 Anyway, thanks for considering Kraft for a review. On next weekend I will be in Chemnitz on the Chemnitzer Linux Tage. I will give a talk titled Linux im Büro von Kleinunternehmen (Linux in the small enterprise). Beside other interesting things I will present Kraft of course. It will be a talk for people who are new to Linux but try to get their work done with Linux. I am looking forward as I enjoy these solution focused topics. If you are interested, show up and we talk about Kraft. And, yes, a new release of Kraft is also on the way, it can’t take too long any more. 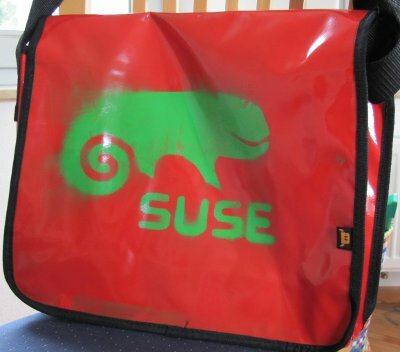 Its Hackweek number six at SUSE as you might have heard. Hackweek is great as employees are encouraged to work on a free software project they want. 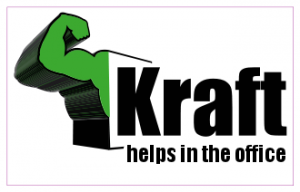 I work on my project Kraft and really appreciate the time that I can spend on it. What I intend to do can be summarized with Share your Kraft. Up to now, Kraft is working fine for a single user. But what if a team wants to use Kraft and share number cycles (which are base for the document numbering like invoice number), documents and template catalogs? Well, as long as they share the same database, it might work (I didn’t test deeply) but if they happen to be on different locations it becomes difficult. I try to make that possible. My development target for Kraft is simplicity. For the user of course, but also for the setup. The server to share data, which is obviously needed, must work on a cheap hosting offer, and it must work with a weak internet line. So a database connect via internet is not possible. I decided to investigate in ownCloud and enhance it with a plug-in called KitoC. ownCloud is a project started by Frank Karlitschek and implements a handy but scalable WebDAV Server beside more. Seems to fit my needs perfectly. Yesterday I implemented the number server function in KitoC after good conversation with Cornelius at breakfast in the office. Not very much achieved yet, but had to learn a bit of ownCloud first. I keep you posted.